Your gardening just got easier. One stop shop is our Motto. All our products are all natural and nonGMO. 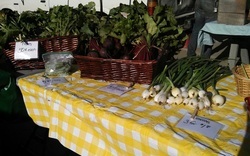 We begin our season with early cabbages, leaf lettuces and cool red radish. 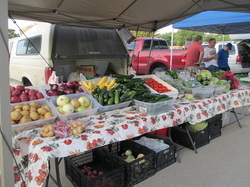 Early summer adds cucumbers, green beans, summer squashes, Kohlrabi, beets and fresh garlic. 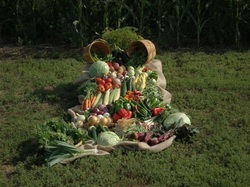 We pride ourselves with an abundance of large peppers, tomatoes, onions and potatoes. Please follow us on Facebook @kruger produce. 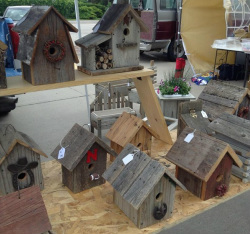 Individualize your property with New and Rustic Garden Decor. We have flower benches,various sizes and shapes; planting tables, a flock of bird houses and feeders crafted with new or old barn wood. Rustic Mirrors and Picture Frames. 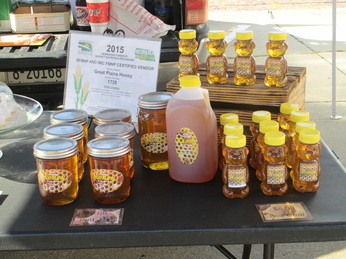 Great Plains honey. Hand knitted scarves to keep you warm. Custom designs are welcomed. 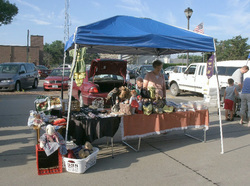 Homemade jewelry, purses, dolls and crafts. Czech Kolaches, breads and baked goods. Fresh home grown produce including beans, beets, broccoli, brussel sprouts, carrots, cucumbers, eggplant, green onions, kale, kohlrabi, lettuce, okra, onions, peppers, potatoes, radishes, shallots, snow peas, spaghetti squash, spinach, summer squash, sweet potatoes, tomatoes, turnips, winter squash, and zucchini. Handmade crafts including baby blankets, baby bibs, burp cloths, and infant seat covers. Stop by and see our wide variety of items. Handmade Glass Beads & Marbles. 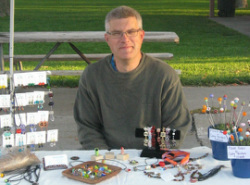 Fun, Artistic Jewelry & Gifts. 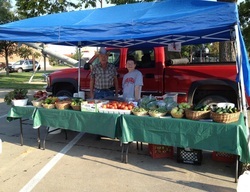 Also from our orchards - in season- cherries, peaches, plums, pears and apples. Naturally grown beans, beets, cabbage, carrots, corn, cucumbers, dill, egg plant, green onions, kohlrabi, lettuce, onions, peppers (bell and hot), potatoes, radishes, shallots, snap peas, spinach, summer squash, swiss chard, tomatoes, turnips, zucchini. Specializing in fresh and dried herbs, basil, chives, cilantro,dill seed, weed garlic, mint, oregano, parsley, rosemary, sage, tarragon, thyme. 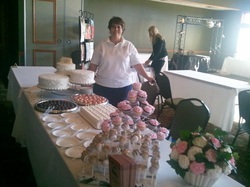 Truly Scrumptious In-Home Bakery has been decorating cakes for friends and family for years. From cakes to cookies and everything in between, they can create something sweet and homemade to satisfy anyone. 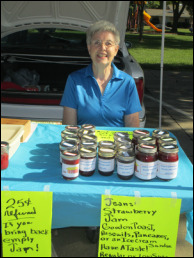 Also offering breads, pies and jams. ﻿Having my own grape vines I can make Grape Jelly, Regular and Low Sugar. Prairie Wild is a cut-flower farm and design studio just south of Hastings, Nebraska. We love growing and sharing fresh, local blooms that we produce using organic methods. In addition to selling our flowers at Highland Park Farmers Market, custom arrangements are available for delivery in the Hastings area and our studio designs for weddings and events all year. 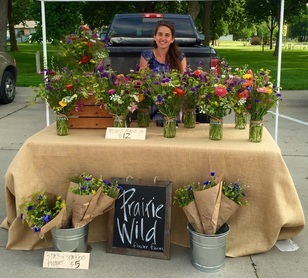 Add some local beauty to your life by following @prairiewild on Facebook and /or Instagram.